I know this looks really dull. 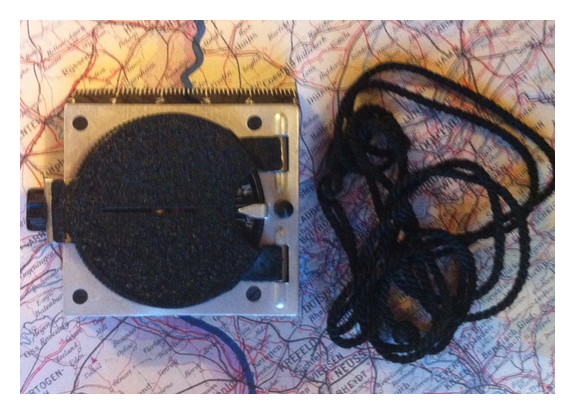 But… If you look here you will see that I have an HJ marching compass in a postwar carton. 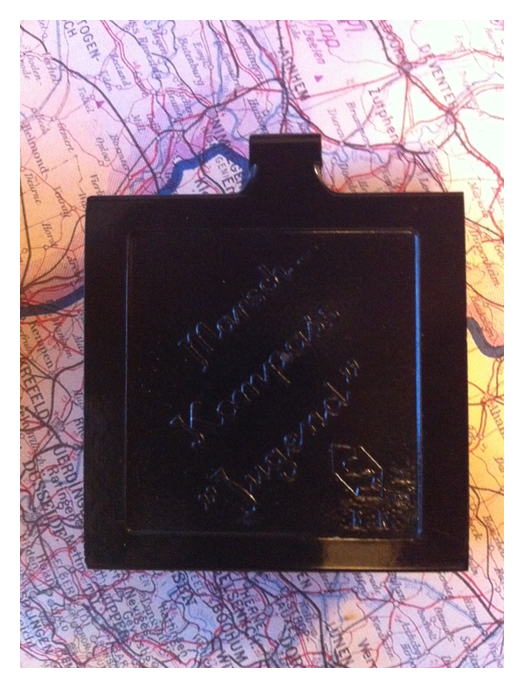 So this is just me being type A and joining a 3R carton to the compass. 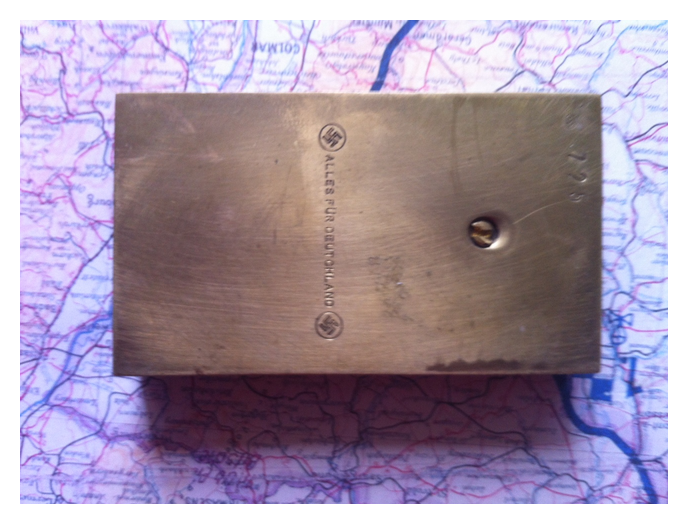 This compass is marked Marsch-Kompass “Jugend” and is manufactured by the C. Stockert & Sohn company. 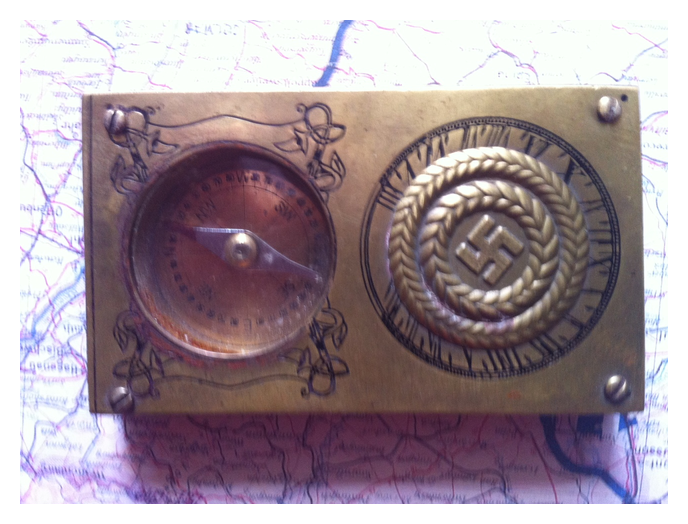 These were the official compass suppliers to the Hitler Youth. 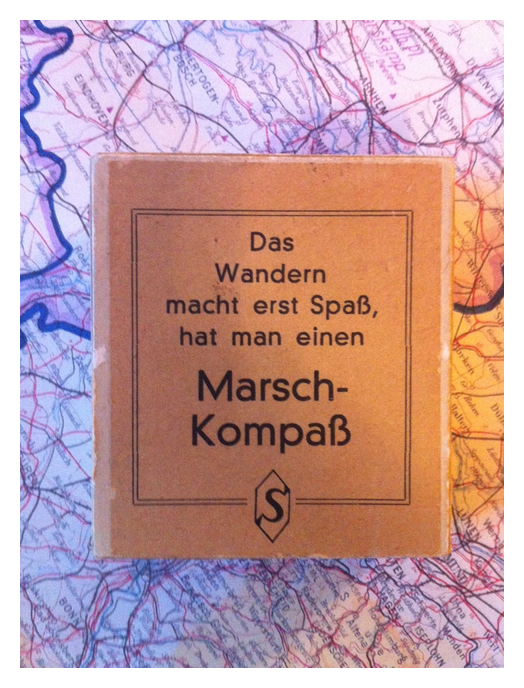 In this case this compass has a box that was printed post-war as the word “Marsch” (March) on the box is replaced by the word “Wandern” (Hiking). 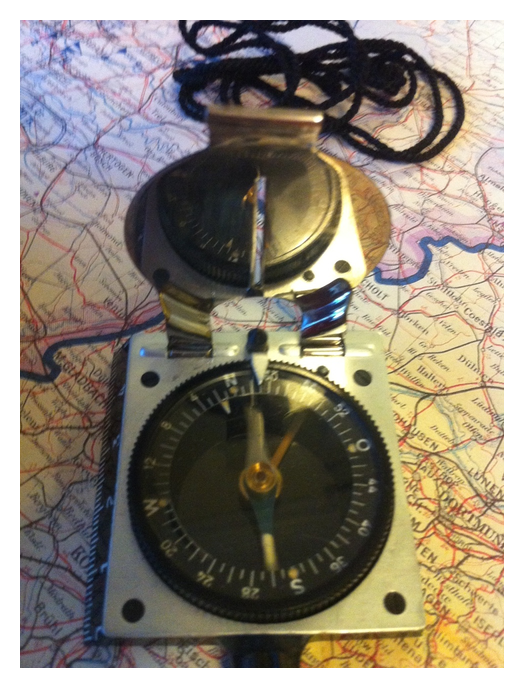 Still, aside from this the compass is identical. 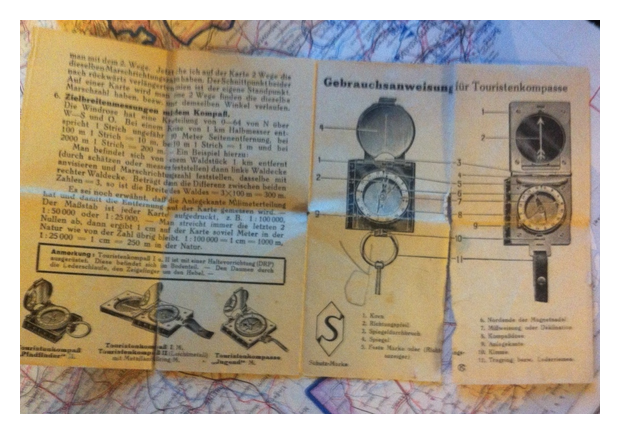 This is a presentation compass for a member of the Sturmabteilung (SA). 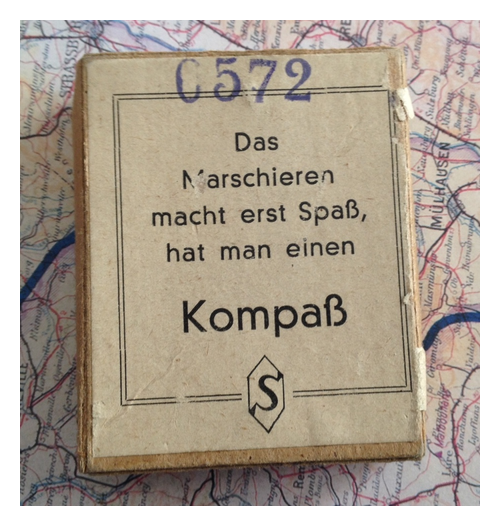 Marked “Alles Für Deutschland” and “725” on rear. It’s also spurious. Why do I say that? Because the cardinals are in English, not German. 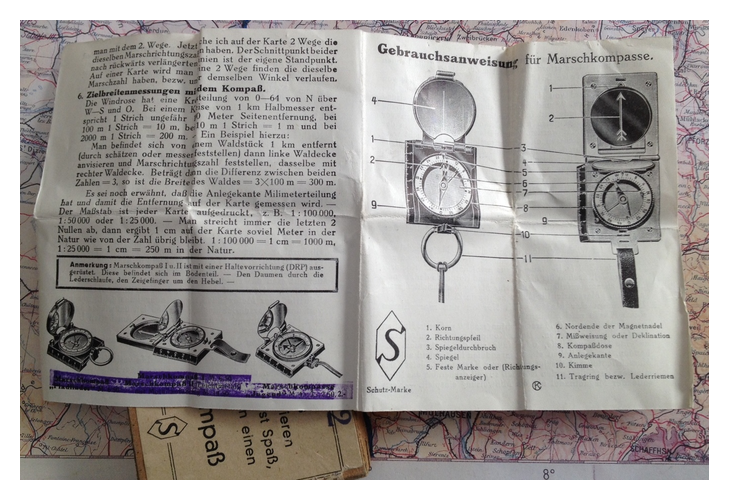 A German compass should have an O for “Ost” not an E for “East”. Good thing it was cheap.